Endurance. Strength. Flexibility. Power. Speed. Agility. The new year is just around the corner, and with it comes a lot of good intentions. It’s common to have a bold new image of yourself in mind: you will be thinner, stronger, kinder, smarter, and harder working. You will spend every day in the gym and eat healthy at every meal. If you are going from a sedentary lifestyle to daily gym sessions, chances are, you are going to experience burnout and backslide into old habits. It’s best to make smaller, more attainable goals that can help you reach these bigger goals long-term. In this blog, we will go over some realistic New Year’s resolutions around health and fitness that you can accomplish. This is a simple thing you can do that can have a profound impact. Every morning when you make up, check in with your body and mind and see where you are. This could be as simple as just reminding yourself that you are healthy and have so much to give to the world. You might also try writing down a few positive things you feel about your body and health each day. Something this simple can have a dramatic impact over time on the way you see yourself. Ideally, you would eat protein at every meal, but the key to realistic goals is to start small. Breakfast is a great way to start your day off in a healthy way. Make sure that, whatever you eat for breakfast, it includes a hearty serving of healthy protein. For example, a veggie omelette, cottage cheese with fruit and toast, protein pancakes, or chia pudding all are delicious, high-protein breakfast options. One resolution you can make that is realistic is making time one day a week to prep your food for the week. Not everyone has time to put hours into meal prep, but something as simple as chopping up any vegetables you need for future meals can save you a ton of time during the week. For example, if you are planning on making a stir fry on Tuesday, having all your veggies already cut up means all you need to do is throw the ingredients in the pan and go. Having a little forethought about your meals can ensure that you save time while still making healthy choices. Exercise is a crucial part of fitness, but going to the gym and then spending the rest of the day sedentary is still bad for your health. It’s important to be moving throughout the day as well as in the gym. Therefore, a good goal is to incorporate more movement in your daily life. Try using the stairs instead of the elevator, parking farther away than usual, and getting up from your desk to take a walk every hour. One of the biggest saboteurs of progress is perfectionism. Instead of trying to do everything perfectly, aim for doing it better than you did before. This helps you let go of beating yourself up for one unhealthy meal or one missed workout so you can instead, make gradual and steady progress towards your goal. 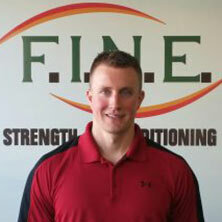 At F.I.N.E., we are happy to offer a place where you can work on your fitness goals for the new year. 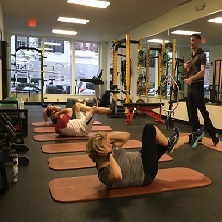 Come try out one of our workout classes in Medford today! Whether you have worked with a trainer before or not, training with our coaches will be unlike any experience you have ever had. Time to lift the curtain! Why do fitness classes get names like burn, sculpt, build, body tone, or booty blast? How do these fitness classes all have different names yet all have the same format? Here at Fit In New England, we are focused on education and experience. 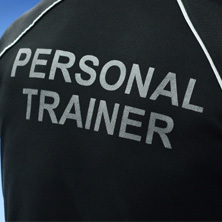 Our highly educated and experienced fitness coaches are committed to making athletes’ experience one of a kind! 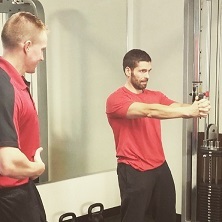 Even in our group workout classes, we tailor the experience to you as an individual. Come in and get the big picture! We would like to invite you to a "Meet and Greet" with a prospective Coach. This is an opportunity to understand how your personalized program would be shaped if you decide to start training! ©2018 Fit In New England - Do not copy. All rights reserved.